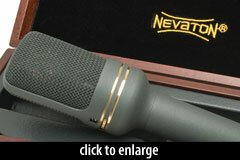 The Nevaton MC51 is a multipattern FET condenser with a smallish large-diaphragm capsule. The capsule has two diaphragms measuring 24mm in diameter. The diaphragm material is aged 3-micron Mylar, as in many other Nevaton microphones. The capsule assembly is shockmounted to reduce handling and environmental noise. The mic provides four pickup patterns: cardioid, wide cardioid, omnidirectional, and figure-of-8, via a thumbwheel on the side of the headbasket. The preamp circuit is a Class-A transformerless design. A -10dB pad is controlled via a switch on the microphone body. 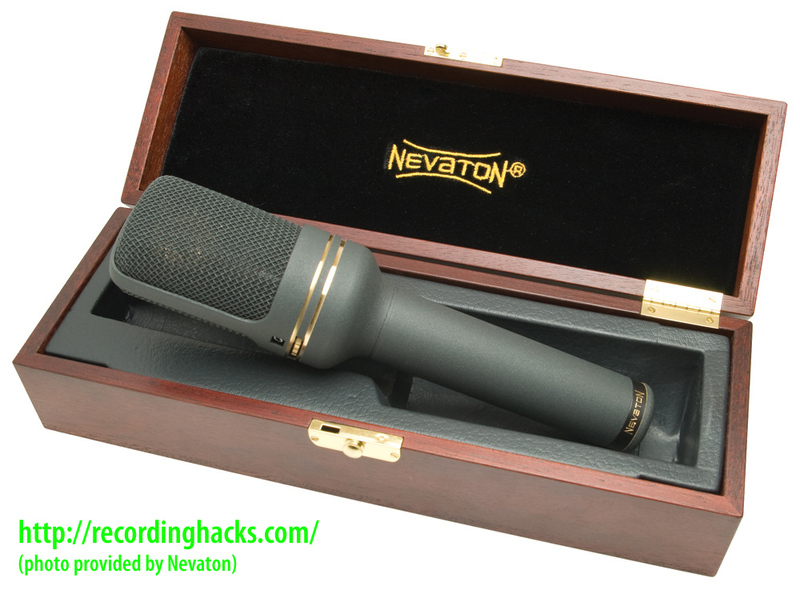 The mic ships in a padded hardwood box with an “isolation” mic clip and an individual frequency response graph. [T]he MC51 comes over as having the classic honesty of a good capacitor mic… I’ve thoroughly enjoyed its warm, revealing sound and its versatility… it performs as well as some of the top-name capacitor mics costing over twice as much. The two multi-pattern condensers (the MC51 and the MC416) bring an ample feature set to the table with pleasing sonics, quality workmanship, and just enough color to keep things interesting. The Nevaton MC51 is also known as: MK51.